Dates on magazines are funny things. They are more like “best before” dates than anything else; the date until they are to be replaced on the shelves with a new issue. That is why I now find myself waiting impatiently for the mailman to arrive. Even though it is not yet January, I’m hoping that today is the day he brings my February issue of Chatelaine. The picture above is a screen shot from the on-line issue. I’d love to give you a link but you have to be a subscriber. Naturally, being a Canadian woman over a certain age, I am a subscriber and have been for years. That is partially what makes this so exciting; I’m thrilled to have an article in such an iconic publication. More so, however, I’m excited to have my message reach the largest audience in Canadian magazine publishing. I am no longer ashamed that I require medication to treat my depression. Without medication, my body cannot maintain sufficient levels of certain chemicals. How is this any different than a person with diabetes requiring insulin? As for the therapy, thank you readers for your kind indulgence! 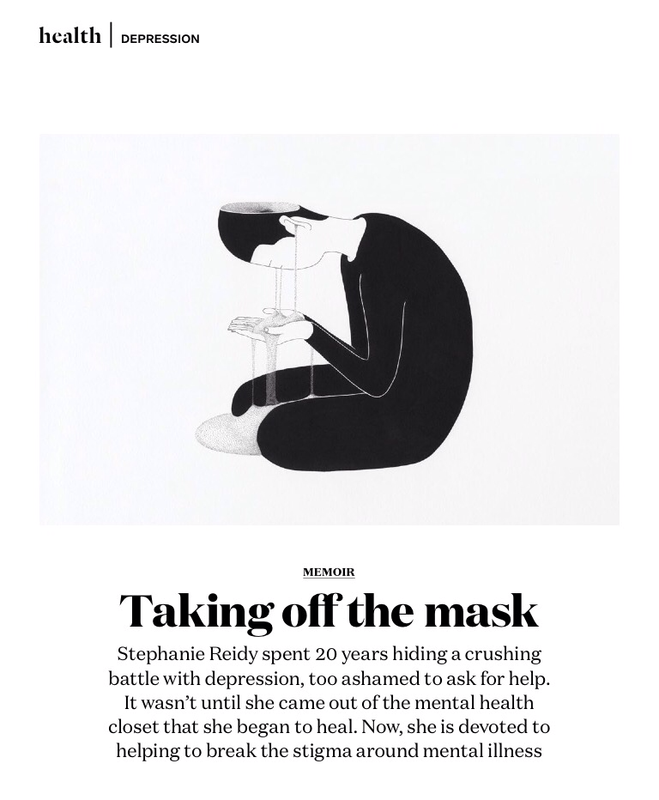 This entry was posted in General, Mental Health and tagged Chatelaine, depression, medication, Mental Health, therapy. Bookmark the permalink. That is really cool that you can turn something that has been such an obstacle into a tool that can help other. Well done! Thanks Mark. It has been a struggle but it’s been worth it to reach the point where I now am. that’s so impressive stephanie! combining your talent of writing and your personal experience to reach out to so many! proud of you, steph! Congratulations on the publication, especially given the topic. As an American male of a certain age….I’ve got no f-ing idea what the magazine is. But getting ANYTHING published is great, even more so when it deals with a topic that too few will talk about with respect to their own lives. Spoken as a guy who admits to therapy, medication and makes no bones about it at work or in the rest of life. Kudos! Thanks Jeff! I’m always happy to hear that others are living openly with their illness.